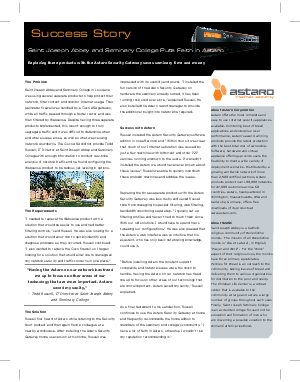 Saint Joseph Abbey and Seminary College in Louisiana was using several separate products to help protect their network, filter content and monitor Internet usage. Despite having three separate products implemented, this wasn’t enough to truly segregate traffic and it was difficult to determine when and where issues arose, as well as what was causing network slowdowns. After installing the Astaro Security Gateway home use version, the solution quickly impressed with its usability and power.